I am finally back to blogging about my most favorite thing....BOOKS. I've got a list of some great new and upcoming books to share with you. But first, a quick update. If you follow me on social media, you know that I have recently made the big move from Massachusetts to Brooklyn! I am so excited to start a new adventure here and I'll be sure to keep you updated! So let's get to the books! 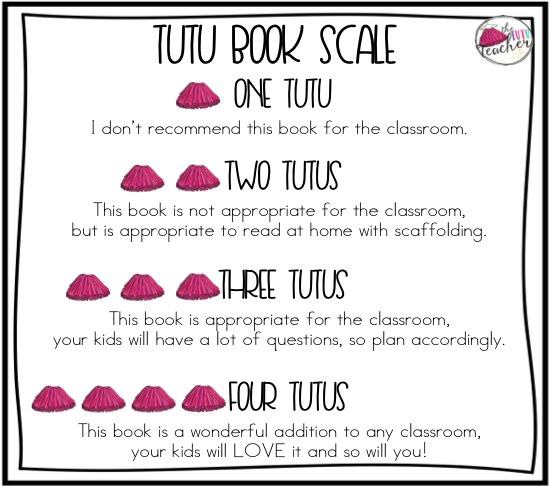 If you have questions on how to take advantage of these (and many other books) wonderful books during the entire school year, please email me at thetututeacher@gmail.com...we can chat! This post contains affiliate links for your shopping convenience. I earn a small commission each time someone makes a purchase through one of my links, which allows me to purchase more books to be able to share with you! Click on any of the pictures or titles to grab your copy. I've featured some books that are currently out and available, and a few that you'll have to patiently impatiently wait for. I cannot WAIT for this book to come out (release date: August 1). I just know this book will serve as the perfect mentor text at the beginning of the year when we discuss body space. 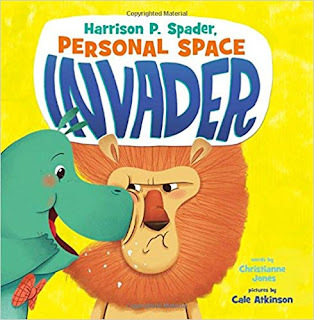 Most students have the best intentions when they get right up in your face to ask a question, but I'm sure once they see how Harrison's friends react, they'll be able to get a better understanding about personal space. It's also important for teachers to rem ember that certain families and cultures look at personal space in different ways. Since this book isn't out yet, I can't give it a rating. Check back to see what I think once it arrives. Oh how I love this book! Alma is a sweet girl who doesn't like her very long name. 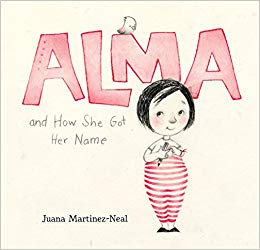 After an in depth exploration into their family's history and culture, Alma learns that her name, well, ALL her names, are beautiful and important. I personally connected with this story as my name is 5 names long. I almost always take up the entire space on a paper when writing my name. But each name has a special history and significance. ALL my names make me who I am. 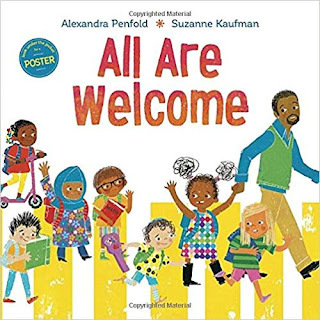 This book would be a great addition to your classroom library. Especially at the beginning of the year when discussing names. This book should be in every classroom. 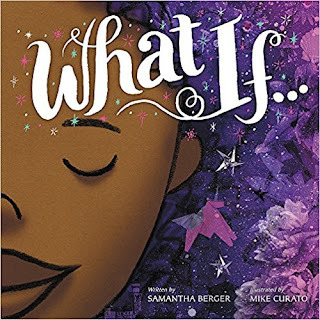 There's no need for me to tell you all about this book because you are purchasing it for your classroom right now. Hello School! is a great addition to you Back to School collection. 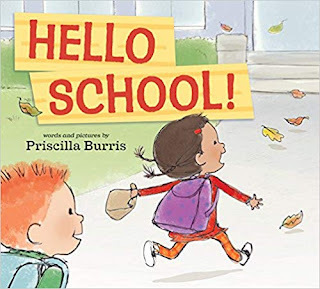 The story helps children familiarize themselves with the expectations and events that take place in school. 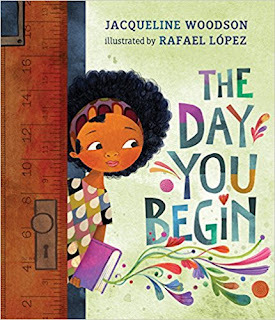 This book would work wonderfully for an early childhood classroom, as students come to us with little school or classroom experience. What I love most about this book, is that the classroom teacher looks like me! Oh this book. If you've been teaching for awhile, you definatiely have had a Mae in your classroom. Mae is that sweet child, who on the first day of school, can't seem to make eye contact, has trouble speaking up or feeling comfortable. Mae's feelings are important to recognize and discuss. 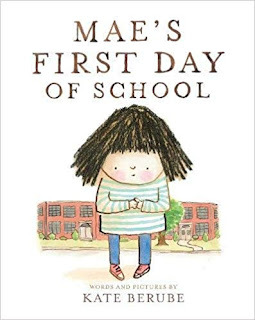 I am sure many children will connect with Mae's feelings on the first day of school. "And in that room, where no one else is quite like you, you'll look down at your empty hands and wonder, What good is this, when other students were flying and sailing and going somewhere." That really resonated with me, as we return to school and ask students what they did or where they went, that some students, might not see themselves in the opportunities or experiences other students have had. How to we level the playing field so every child can see themselves in the classroom. Because this book isn't out yet, I'm unable to rate it...but I have no doubt it will be amazing!! 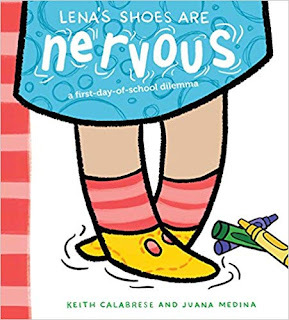 Similarly to Mae's First Day of School, Lena is a little nervous about her first day of kindergarten. She and her father work through her nerves by hunting down those nervous shoes of hers. This is a fun and silly way to discuss that it's ok to feel nervous or scared. What a great way to validate the anxious feelings many of our students will have. I LOVE THIS BOOK. I think this book can be used any time of the year. However, I think this is perfect for back to school. It's a perfect story of the power of imagination, creativity, and never giving up. The story sets up the expectation we teachers have for our students to dig deep, try anything, and be brave. The illustrations ALONE will capture the hearts of students. I have shared this book at a few of my presentations, and teachers have fallen in love. It is just perfect. These look like amazing books! 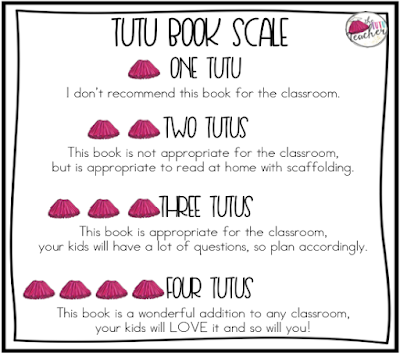 I love how you rate the books using tutus ~ quite perfect! I'm glad you've successfully relocated and hopefully, unpacked!